I do not have enough fingers and toes on which to count the number of times the term "Pumpkin Spice" has come up in conversation with clients this fall. 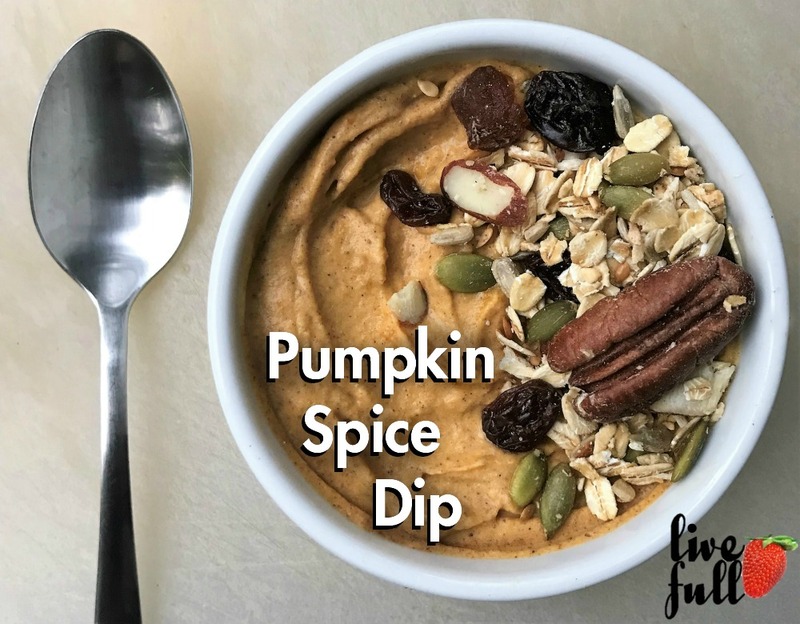 Lattes, cookies, cake and fudge spiked with artificial pumpkin spice flavoring, cheap soybean oil and loads of sugar are ridiculously tempting this time of year, but they're cinnamon-y landmines if you're trying to eat more healthfully. For example, the ubiquitous Grande (16 oz) Starbucks Pumpkin Spice Latte, even with non-fat milk and no whip, contains a whopping 49 grams of sugar—that’s 98% of your daily allotment of added sugar in a 2,000 calorie diet (based on a the American Heart Association recommendation of max of 10% of calories from added sugar). Slice up some apples or pears and enjoy as a tasty dip, or eat it with a spoon for breakfast or a snack.